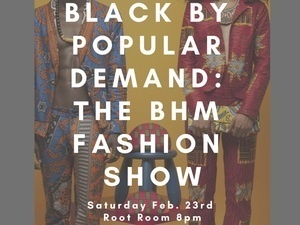 The Black History Month Fashion Show is a celebration of black beauty, black style, and their impact on popular style and culture. The show is also meant to be an inclusive space, rejecting the norms/traditions of the fashion industry in regard to what the "model type" looks like. Many of the pieces will be available for purchase during the show via silent auction. All proceeds will benefit the Sickle Cell Association of Antigua and Barbuda.